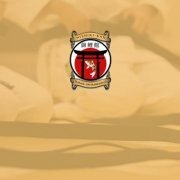 Interesting article that provides more information about body mechanics and the way we apply it in Karate-do. To read and understand how we can improve our training. 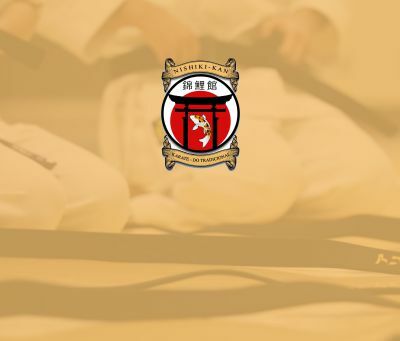 (David Schames is my student for the last 10 years, since he was 16, very smart and also powerful, we have had interesting discusiions about karate principles, so I asked him to put his thoughts in writing, and here is part 1). The equation “Force equals mass times acceleration” is useful because of a key pattern in nature. There is no such thing as a force in nature and it cannot be measured directly with any tool. Force is an extremely useful manmade concept to keep track of what is happening in the natural world we live in. There is a pattern in nature that when two objects interact and one changes velocity the other object changes velocity in a predictable way. If object 1 interacts with object 2 and experiences a change in velocity, (delta V1), then object 2 will change velocity in an opposite direction proportional to the ratio of the mass of object 1 to the mass of object 2. The change in velocity is known as acceleration, and the equation is M1 x A1 = -M2 x A2. Because of this pattern in nature, we call mass times acceleration a force to better keep track of what is happening when objects interact with each other. The human body is designed to function in the natural world and our bodies are designed to move, and change the things around us. The better a man’s posture is, the more able he is to move efficiently and change the world around him. In general, our legs interact with the floor and move our body, and our hands grab things we want to move and apply force moving our center as we move the object we are grabbing. The bigger a man is, the more he can accelerate an object he is grabbing before the object and the body is at a distance not ideal for applying force using muscles. In karate we position our body position so that when the striking fist decelerates during a striking technique; our hands will decelerate our whole body and therefore resist decelerating itself. We can apply force from the ground to our center pushing the center in the direction that we intend on striking. When the strike connects with a vital target on the opponent, our fist decelerates relative to the rest of our body and our muscle transfer the forces in a safe way. Meanwhile from the opponents perspective, the vital organ that was struck accelerates relative to the rest of the opponents body and the vital organ transfers the forces through to the rest of the body in an unsafe way causing damage. If the force pushing the center forward equals the force pushing the center back, the center does not change velocity and the body can stay in an ideal distance to apply force. This position is also the ideal starting position for the next move. This is what we strive for during kime. The energy needed to stop a moving mass equals ½ M x V^2 so if the center is moving fast, and is completely decelerated to zero velocity when the fist hits a target, then the energy delivered into the target is proportional to the mass of the center and proportional to the square of the velocity of the center. The fist hits the target and slows down the body center over the time of the collision. At this same time, the feet can push the floor and accelerate the body center adding more energy that is delivered into the target.